I don’t blame you XYZero. I almost don’t even check on this anymore either. A word or two from the developer goes a long way for patience and encouragement. Totally agree with you on that. If it was a free addon, I would not bother. Hopefully this will be improved. The link of the addon is in the mail, no need to come on the discord! We use discord for support because it’s easier for us to have only one place for that and an account on discord takes less than 1 minutes to make, no need to install anything. Isn’t this how everyone does it? I found and installed the 2.8 version pretty easily this way. Little correction, there is no addon in the mail. 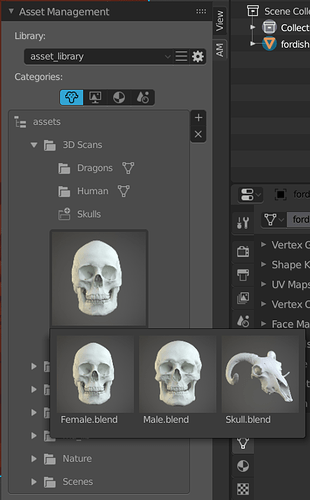 On the other hand, all you have to do is log into your Gumroad or Blender Market account to download the beta version of the AM for Blender 2.8. For old buyers who do not have access to the new addon page on Gumroad, please let me know about the discord by sending me your email so that I can do what is necessary so that you can access the next update again. The addon now has an update detector, it will be easier for you to know if a more recent version is available. It was not till Ector3 pointed out that the link was in that area, that I went back and reopened the email and HOVERED over the asset management text and saw the cursor change and text highlighted to click the link. The big green bar with “asset management text” is simple to figure out quickly! Should not the 2.80 link be the same? So you can easily see how the confusion happens. I hate going through gumroad because of the capcha…7 times I tried that bleeping thing and gave up on it. And there is no way to contact them on this issue. No help link, no email to gumroad. So I perfer emails from addon developers about updates on there addons. All others that I have bought or got for free, and I mean ALL, there is never a problem. The links are clear, and direct me to the proper download page without any problems. I just wanted to explain the issue here, after all, this is not the first time I have experienced this problem. 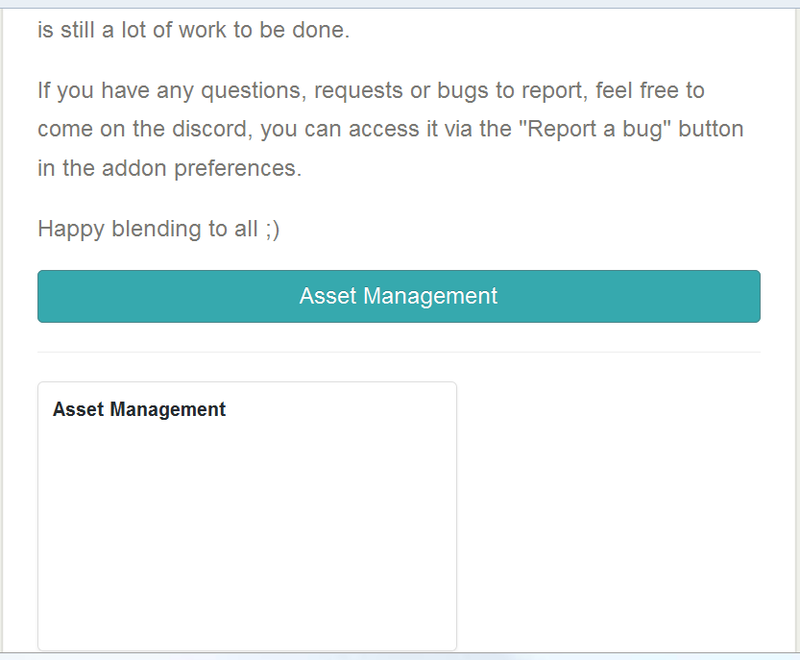 And I do appreciate all the work being done on asset management and looking forward to the full 2.80 version. I understand but it would be necessary to solve this problem with Gumroad (and I know that it is not easy, i have experienced the thing when I had problems to bring the list of former buyers) because there will be very few emails reporting updates because the addon displays it in the ui when there is one available. Until the problem is fixed (and it’s true that some captchacs are really painful), could you give me your email please. There is no option to append on the cursor on the asset management if I recall. I do it on speedflow companion and we will add it to the AM on ne new version later. okay thanks for the support ! i tried to do a custom pop up menu with the pie menu editor with multiple asset management panels open so that i could have multiple category open at the same time for a faster workflow and not constantly switching between menus, unfortunately all panels are in sync? is theres a trick to do this in the PME ? Probably not as the panel rely on AM data. Unless you handle a way to store AM data copy in 3 locations. Hello, you may have consider it before, but I think one amazing feature of AM would be cloud storage of assets and maybe an asset sharing system . what do you think ?? it has been requested (notably by Wazou ^^) to be able to display several different previews. It’s on the TODO list. I would like to set up this display of the front hierarchy. It is not planned for the moment. There is already a lot of work to do and unfortunately, I don’t have much time to work as I would like on the addon.